Betty LOVES pandas, she has around 100 soft and cuddly ones in her personal collection so when the invitation to the launch of international Panda Awareness Week (PAW) landed in my inbox, I couldn't really turn it down. PAW highlights the work of the Chengdu Panda Base in China, a not-for-profit organisation that plays a leading role in fostering continued growth of the giant panda population, as well as rescuing and rehabilitating pandas so they can return to the wild. Chengdu, in southwest China is the hometown of the giant panda - pandas have lived there for more than 8 million years and the Chengdu Panda Base has become a world-renowned breeding and research centre, dedicated to panda conservation. Opened in 1987, with just six giant pandas that had been rescued from the wild, Chengdu now has the largest controlled breeding panda population in the world with 108 pandas living across more than 100 hectares of natural habitat. 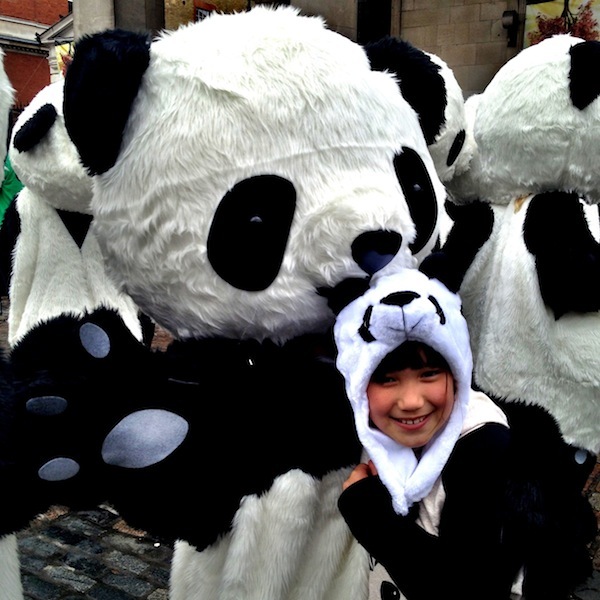 But this weeks it's all about the awareness in London and what better way to get people talking than watching 108 giant pandas indulging in a spot of Tai Chi in Covent Garden Market? 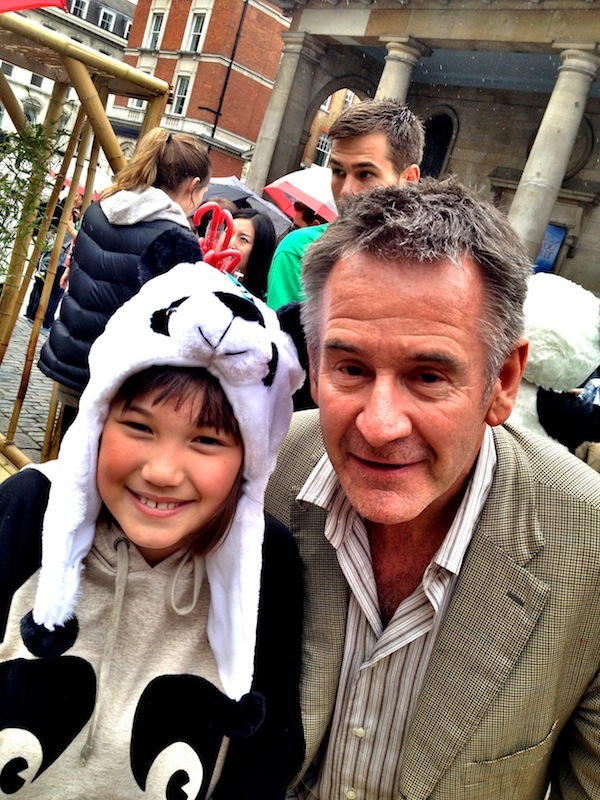 The pandas were pretty awesome but Betty also got to meet fellow panda fan and PAW ambassador, Nigel Marvin! 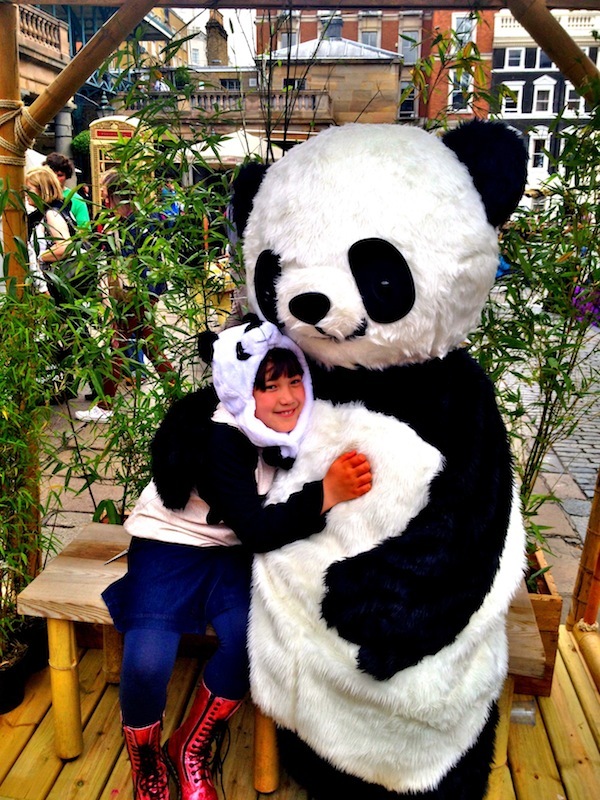 She got right into the spirit of the occasion and hugged as many pandas as she could. But then its not everyday that you get invited to something quite so awesome. 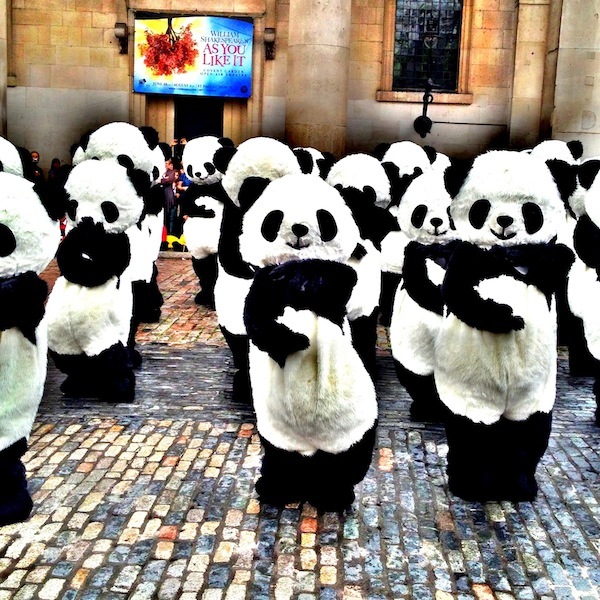 The pandas will be hitting the London streets for the rest of this week. You can follow them @ChengduPAW on Twitter and by the #Hugapanda hashtag. Short of a slice of cute? The Chengdu YouTube channel will fill the gap. The giant panda is an endangered species and without help from conservation projects like the Chengdu Panda Base its future is uncertain. The giant panda is the rarest member of the bear family and among the world’s most threatened animals. Panda survival is threatened by loss of habitat and poaching. There are less than 1,600 pandas left in the wild. If you are interested in panda conservation, take a look at the Chengdu Panda Base site for more information.